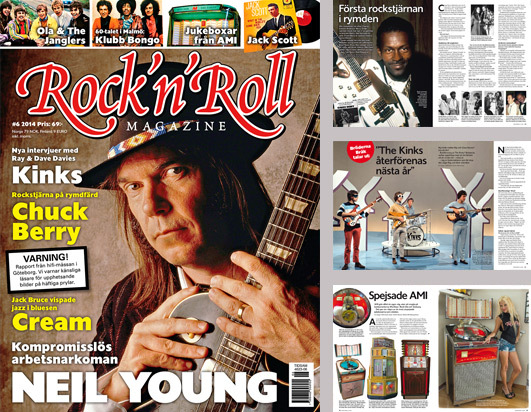 We were in room Björkö, in the boot of OldSchoolHiFi at the Scandic Opalen Hotel. - Loudspeakers Genuin FS 3 MK 2. …and these problems have been solved: we got our power from the corridor with a 15m long power cable brought in the local warehouse. 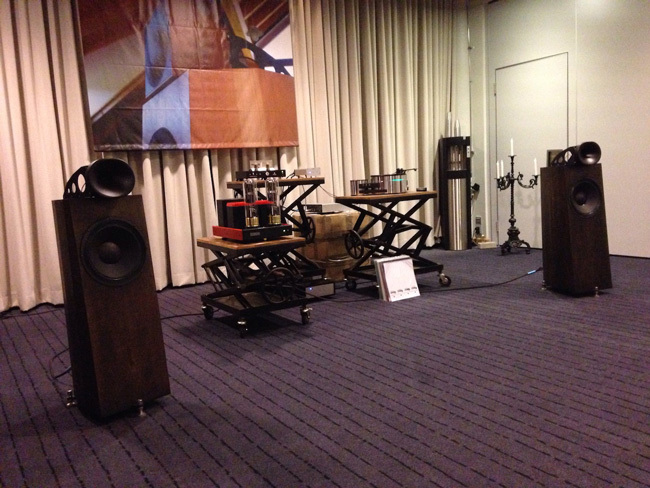 This event has been possible thanks to our Dutch distributor, Marco de Wilde: he took over were Jan could not be part of the event. We are getting a nice Blumenhofer family that support each other, when for any personal reason some of us can’t, the other jump in. This is friendship!! 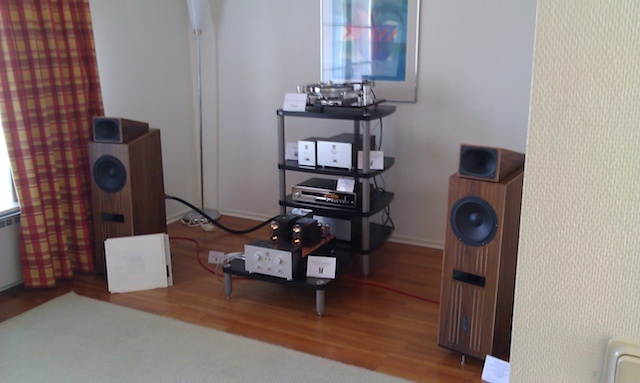 We have been in contact with Jan from Old School HiFi since a longer time. And the personal relationship is working pretty well. We have fun together, we like the same kind of music and the way we listen to music is the same. It feels good drinking a beer and turn the volume up and up and rock until it makes fun! After some uncertainty on both sides, we decided to work together. 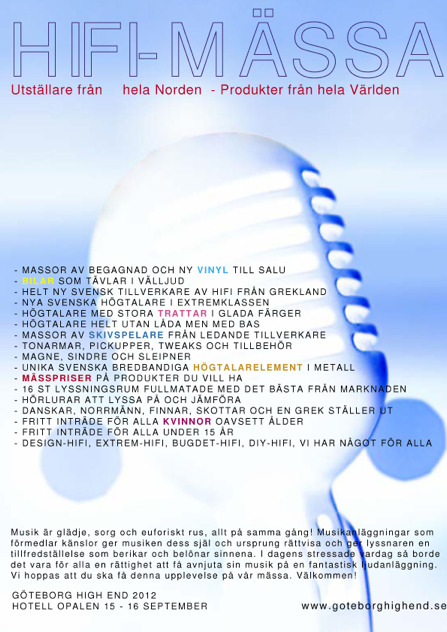 Jan Öström is our new distributor for Sweden. 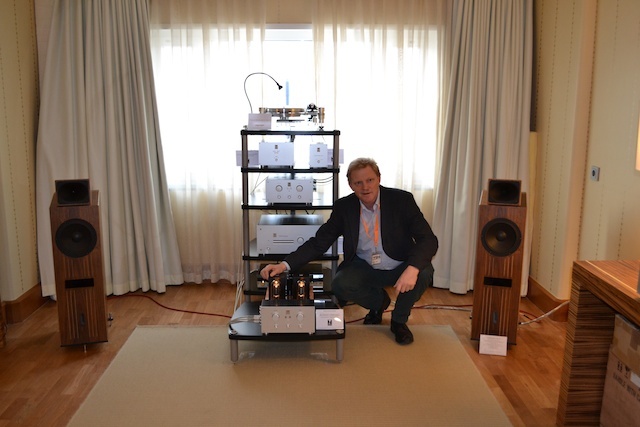 VälLjud, the Swedish distributor for Blumenhofer Acoustics, was at the Swedish show Sweetspot 2001 showing the Blumenhofer FS3 and furthermore a dealer showing the Blumenhofer FS1. 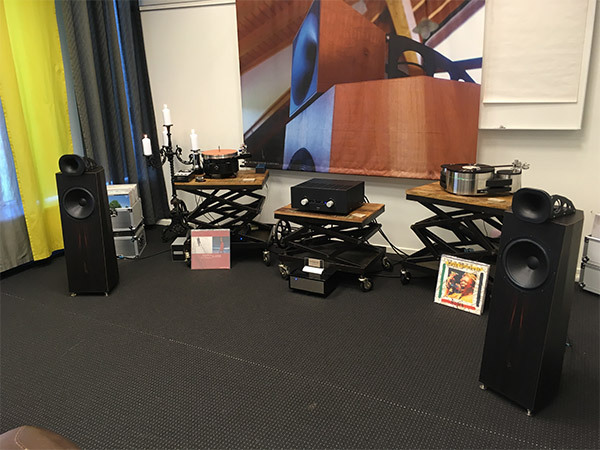 VälLjud was playing on a system consisting of Kondo Ongaku, Kondo M7 Phono and Kondo SFZ Stepup and a Oracle Delphi turntable, there was also an EAR Acute cd player for the digital playback. All cables was also Kondo, and a Shunyata netfilter. 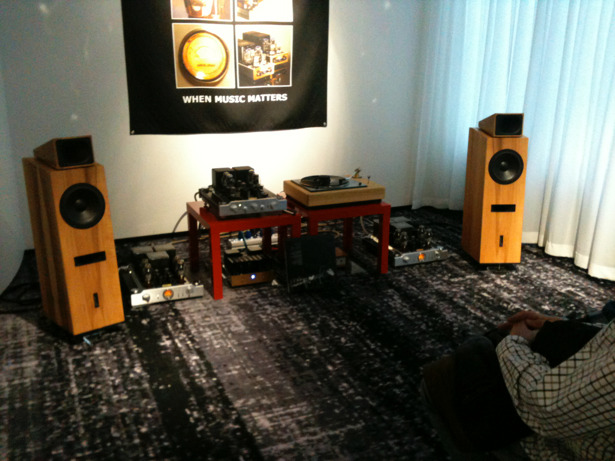 The show was a big success with a lot of compliments on the exquisite sound coming from the Blumenhofer speakers. A lot of people were in the room and sat there for a long time listening to the system, more than one noted how enjoyable and engaging the system played. 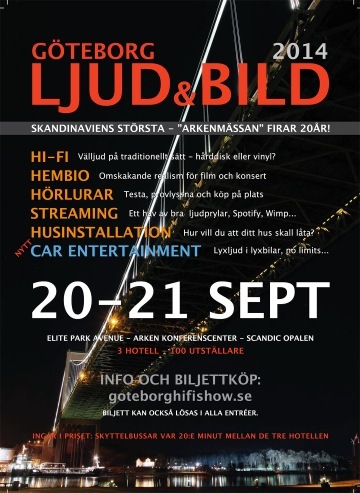 Surprisingly fast and productive started our cooperation with VälLjuD, our new Distributor for Blumenhofer Acoustics in Sweden and Finland.